This post comes from a particular tick I have. This tick in question is I absolutely HATE and I mean HATE it when meticulously debunked cases are brought up to be checked over again. The show Fact or Faked has been the biggest scratchy contact in my eye for this very reason. For this I have decided to have a special post dedicated to all the cases that can be at least 85% conclusive to their hoaxness. This will be an ever growing list as a result and will include video’s and photographs. Many of the ones that will have been deemed hoaxes can be redeemed but until I see evidence otherwise they will remain on the list. A majority of which will be blatantly obvious others might be a little obscure. If anyone else knows of a mostly proven hoax case please leave a comment below so that I might include them in the list. Big red and flaming point here no I will not list the Patterson film since to me a lot of the evidence to it’s credibility point to “pretty possible” side of the scale that it’s real. 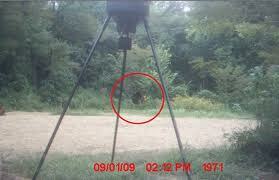 The above picture was featured in one of the numerous Bigfoot themed episodes of Monsterquest during it’s run and rerun on the History channel. They managed to disprove it’s credibility after having an expert look at it. Looking at the full picture it’s not hard to see why most thought it to be real at first. 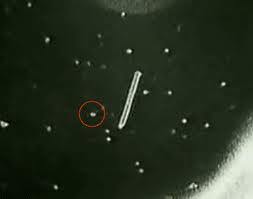 This image and many others like it have been, for the most part, explained either on UFO Hunters or UFO Files. I haven’t heard anything about them but for anyone new to the topics it’s good to let them know. 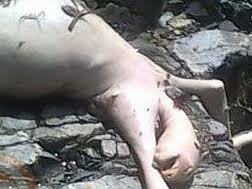 Anyone that has seen the series Destination Truth has learned that this was actually just a poor bald sloth. However this is one of the pink sheep rare times this show has failed. I first heard about this poor sloth from a YouTube show called “Pretty much it” where the show host even said that it was fake and that it had already been investigated and proven to be a hairless sloth. Though I let it slide since with how YouTube is you never know what you’re going to get and what true gems are buried deep under all those cat videos. This is another one of those cases that made my crumpets go stale. The whole Texan Chupacabra thing that went on and was shown on monster quest. After all was said and done they were able to show that it was nothing more than a mange plagued hybrid of a dog and coyote. 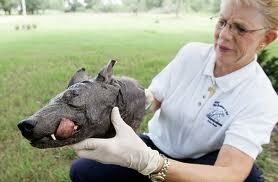 Poor thing, death by skin parasite. 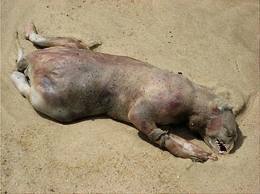 The Montauk monster. Not so much a monster as it is a partially nibbled on body. Looking at the head I would guess a dog with a short snout. Heck it could even have been a fat cat. It’s just a case where the amount of decay (or animal nomming ) has warped the initial appearance making it appear as something else entirely. There are other pictures at different angles that help make that more obvious. This is one that didn’t occur to me first time around. 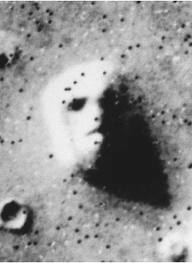 If everyone will remember back maybe two years ago (maybe less maybe more ) there was a big to-do about the face seen on mars and supposed constructs on the moon. The above is just the result of facial matrixing. Another one to add in thanks to it being pointed out thanks to Mr.Byers along with the above face. Rods to me are a kind of in between ground where if they were real I’d have no idea how to classify them. Point being though at the time many cameras couldn’t properly catch bugs due to frame rates. To put it one way lets imagine we have a glowing ball on a string and we turn out the lights. Now swing that ball around and everyone should notice that it leaves a light trail. Same thing just with bugs and cameras. Heres one I’m just gonna put in, just in case the newer folk are unfamiliar with it. The Amityville horror is fake. I can’t for the life of me remember the show it aired on, but I do recall it being aired on the travel channel when the “good” paranormal shows like weird travels would come on. A family that lived there, the Lutz, used the “there’s a ghost in my house” excuse to get out of a home they couldn’t pay for. Either way the haunting is a sham and is only known due to old publicity. It’s no wonder people don’t accept that as a reason anymore. I know this is rather short but as stated before it will require more edits in the future. I just can’t think of anymore hoaxes off the top of my head that aren’t blatantly obvious. Once more if anyone has one please let me know and I will list it here. That aside I’m about as iffy as anyone wanting to use “extinct” only replace it with the word hoax. If a suggestion is made please put a source of any kind to validate the evidence in favor of proving a hoax and or trick of the eyes. Images: Not bothering this time since this post will get pretty dang long in the future. This entry was posted in Aliens and such, Cryptozooligy, First post and recommendations, Spirit related and tagged alien, amityville, chupacabra, cryptid, explained, ghosts, hoax, list, montauk, paranormal, possibility, proven, rods, sloth, ufo. I’m not trying to explain away anything aside from little things about the paranormal some people might like to know. I only made this post so that those still new to the subject might know what’s already fake or mostly proven as such in relation to tv and news cover. The above is just all I could remember on my own. I will however be taking a peek at your pictures shortly. There was a classic hoax, or rather a complete misunderstanding of scientific fact a few years ago- what a refer to is these so called ‘rods’. they were filmed in a canyon somewhere, and look like multifooted insects flying quickly- quite convincing until you realise they are nothing more than insects being elongated by slow motion camera speeds. 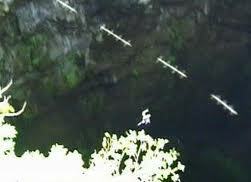 this was proven by someone who actually replicated one of these ‘rods’ by shooting a slow motion insect. yet they are still believed. the various mars/moon phenomenon such as the face on mars- all a matter of perspective, i have studied mars and the moon and can vouch for that. Philadelphia Experiment- a US warship was supposedly cloaked and made invisible in a secret military experiment. the experiment apparently went wrong and teleported the entire ship and crew hundreds of mile away, ‘fusing’ some of the crews arms and legs into the actual body of the ship. The entire story is of course a hoax, and there have been documentaries on the matter, though a quick wiki search will probably suffice for links to the evidence. I’ll note to add that, too though I do admit it too probably makes a great naval horror story if you happen to be around a fire. I think I might do a post about alien abductions next. My other categories are a bit lacking while I just shower attention on the main one, haha.